Looking for wheels, tyres and accessories in Crows Nest? At Crows Nest Tyres we stock a huge range of new tyres. 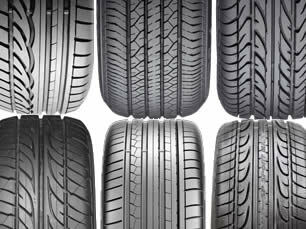 We carry the major brands Dunlop, Goodyear, Yokohama, Bridgestone, Cooper, Kuhmo, Maxxis, Nankang, Mickey Thompson and can source any of the other tyre brands available in Australia. Choosing the right tyre for your vehicle doesn't have to be difficult. Click the Tyre Selector above to help you make your selection. At Crows Nest Tyres we supply and fit SuperCharge automotive batteries. SuperCharge batteries are engineered with a cutting edge technology providing reliable assurance of its superior performance and convenience. 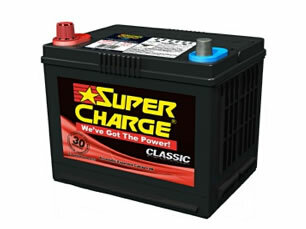 It offers the widest range of Maintenance Free and Low-maintenance automotive batteries. SuperCharge maintenance-free automotive batteries are designed using the advanced technology that can withstand the extreme driving conditions in Australia. The unique composition of the EXG calcium plates extends the battery's shelf or useful life and significantly reduces water loss. No need to top-up water, truly a "FIT and FORGET" battery. We stock a great range of industry leading Speedy Wheels. All Passenger RS, Passenger and 4WD Speedy Wheels distributed by Speedy Corporation Pty. Limited ("Speedy") are manufactured in accordance with and tested to conform to internationally accredited standards and as such, are covered by a Lifetime Structural Warranty to the original end-user against manufacturing faults or defects in the structural body of the product. 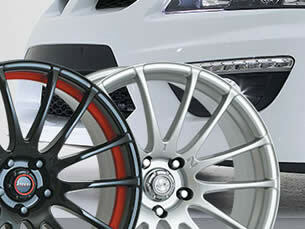 ROH Wheels Australia is Australia's leading aftermarket wheel manufacturer. Through innovative designs, world-class manufacturing techniques and unrivalled quality, ROH Wheels Australia exports to Germany, Japan, New Zealand and the USA. The manufacturing facility incorporates the most advanced techniques available, ensuring that we achieve and maintain engineering excellence. ROH wheels are subjected to the most stringent testing regimes necessary, to comply with the demanding specifications set by various testing authorities worldwide including Australian Standard AS1638. 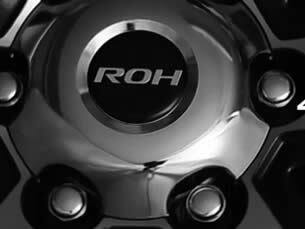 ROH designers strive to create new wheel styles in the constantly changing automotive fashion scene. We have a large range of alloy wheel styles and fitments for a range of vehicles in both the Australian and International markets.